Info: Sale! $ 8 Off on every order! 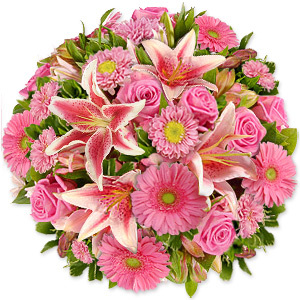 Full and vibrant, these beautiful assorted flowers in shades of pink are the ideal way to lavish love and attention on someone special.